DENVER, Jan. 4, 2018 /PRNewswire/ -- Every January, 45 percent of all Americans – or 135 million people – make New Year's resolutions. Research shows approximately 80 percent of those resolutions will fail by February. 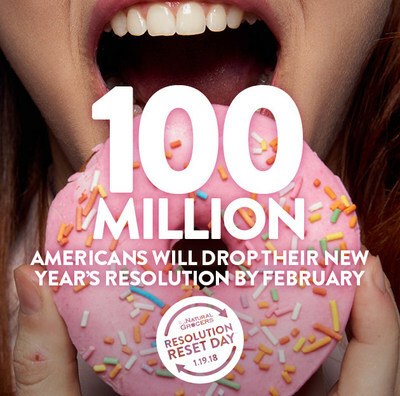 Natural Grocers, America's Health Education ExpertSM, is resolving to help Americans with their 2018 health and wellness goals by creating the first ever Resolution Reset Day at Natural Grocers in Denver on Friday, Jan. 19. The Natural Grocers store in Denver is located at 3835 Tennyson St.
"Without the right guidance, support and access to affordable, good-for-you foods, it can be difficult to achieve your health and weight goals," said Geoffery Brokx, Natural Grocers Nutritional Health Coach in Denver. "Instead of dropping your resolution this year, Natural Grocers is here to help you reset it and stick to it."